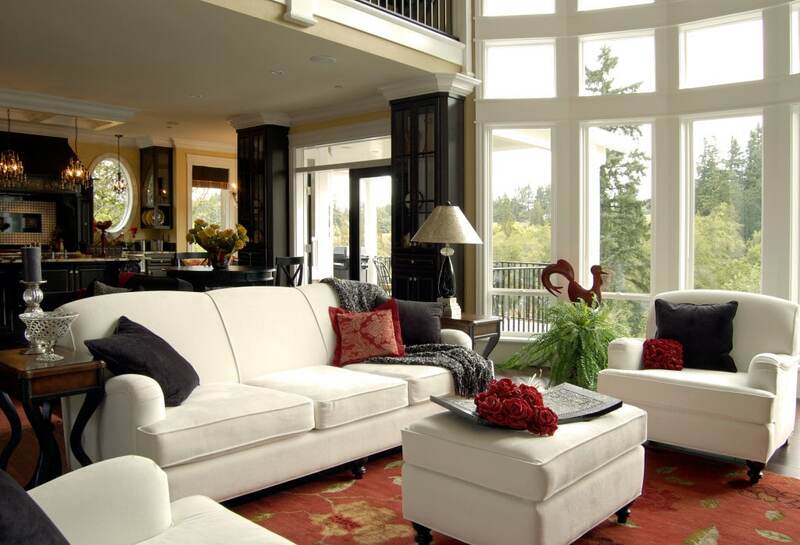 While we specialize in custom home building, many homeowners are not looking to move, but instead are seeking to customize a home to make it uniquely theirs. For remodeling, renovations, and additions, we offer our collaborative design build service and we also work with your existing home plans to transform your home. From architecture and home design to selecting finishes, fixtures, and materials, RBC Construction is your full-service home remodeling firm offering expertise, timely execution, and the exceptional results that you deserve. We service most of Riverside County and San Bernardino County CA. 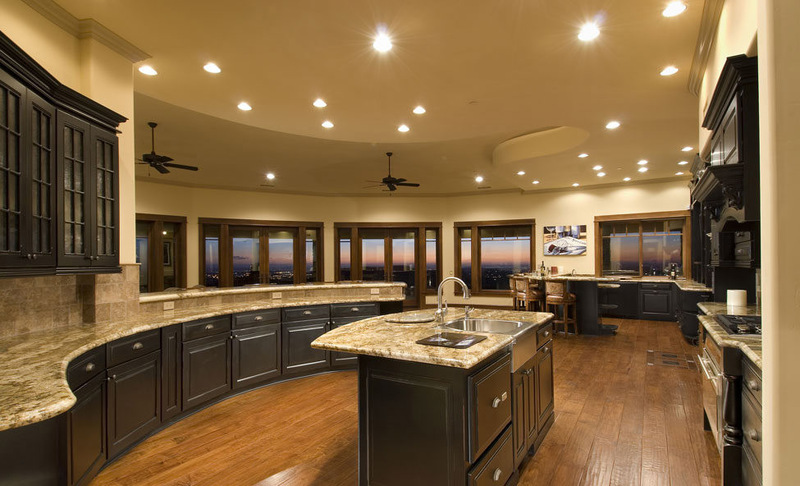 While we thoroughly enjoy designing and building custom homes for our clients throughout Southern Calfornia, we also work with many homeowners to help them remodel their homes and make them truly theirs. Additionally, we work many homeowners who have lived in their homes for years, or even decades. These people are not looking to move, but rather stay in their homes for the forseeable future. They are looking to make the updates and upgrades that will make their home more comfortable in which to live and entertain family and friends. A good portion of these homeowners are empty-nesters who finally have the time and have saved up the financial resources to invest in their homes. As well, there is a growing portion of the population that is looking to add on to their existing homes for various reasons. Two of the top reasons are college grads moving back home after graduation, and aging in-laws moving in to be with family. Regardless of your reason for wanting to remodel your California home, RBC Construction will help you make your transformation and make the process as stress-free and rewarding as possible. By far, the most requested home remodeling project in this area, including Temecula, Murrieta, and Menifee, is the kitchen. Why? It’s where the family spends the most time and it’s where homeowners typically entertain guests. The kitchen is often the heart of the home. It’s one of the rooms that defines the character and mood of the house. Plus, there are so many cooking and home improvement shows on television these days that inspire homeowners to want to improve their kitchens. Cooking has also become much more popular, so the cook of course wants the best appliances and fixtures to improve his or her craft. While some kitchen remodeling projects involve gutting the old kitchen and building a new one from scratch, that doesn’t always have to be the case. In many homes, there is enough to work with that we don’t have to demolish the old kithen. Sometimes we’re able to move things around, resurface cabinets instead of replace them, and make other minor improvements that result in a drastically different look for the kitchen. When homeowners have the space, we are often able to steal space from an adjacent room by moving a wall over a few feet. Or, if there is space on the property, some homeowners opt for a kitchen addition or kitchen bump-out. 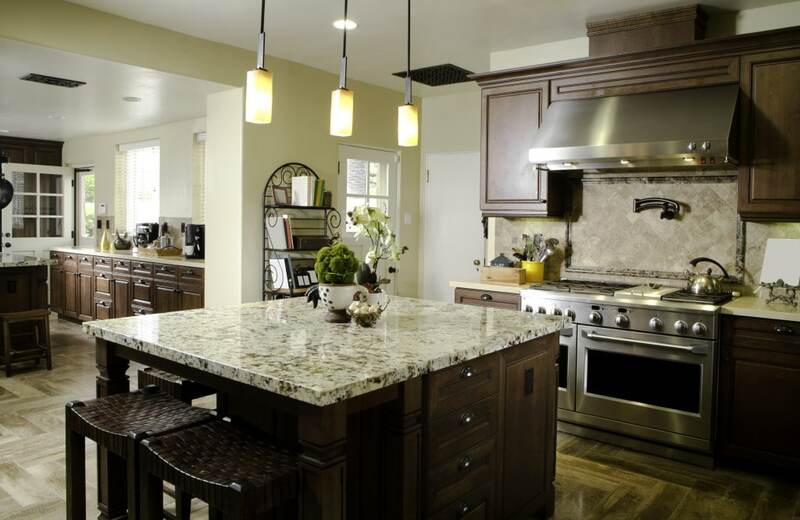 There are different kitchen remodeling projects for different budgets. While most basic kitchens end up being under $50,000, there are equally as many more involved kitchen renovation projects that are in the $100,000 – $250,000 range. It all depends on your financial resources, your time frame, and your vision. Regardless of your budget, contact us if you are interested in transforming your kitchen or if you are moving to a new home and are looking to do some work to your kitchen. If we are the right fit for you, we will move on to the next step of developing a price quote for your project. Besides the kitchen, bathrooms are often the second most remodeled room in the home. Master bathroom renovations have been popular because the master bath is one of the rooms where you spend the most time. It may not be immediately apparent, but you spend time there in the morning getting ready for the day, and at night winding down from your long day, so you want your bathroom to be a relaxing and spacious place. Powder rooms are also a popular choice for home remodeling. When you entertain family and friends, they’re going to be using your powder room, so chances are you want to make it as inviting, clean, and beautiful as possible. As with kitchen improvements, bathroom remodeling prices have a wide range. Basic bathroom transformations can be as low as $10,000 for a powder room up to over $100,000 for a nice master bathroom. Again, the price depends on your budget, your vision, and how many details you want to include in your new bathroom. Many homeowners are surprised to learn that they can transform their bathrooms with not too much work or money. Sometimes there are a few key things that, when changed, can really change the face of your bathroom. If you have questions about your next bathroom remodeling project, we invite you to contact us for a complimentary consultation.